EPS composite board is a heat insulation sandwich panel which is made of self extinguishing plastic foam to make the sandwich material. 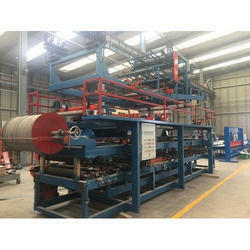 Wool panel sandwich roll forming machine. Now we only could make the half automatic machine. Looking for Sandwich Panel Roll Forming Machine ?